Wednesday marked first anniversary of Belgium's deadliest terror attacks. 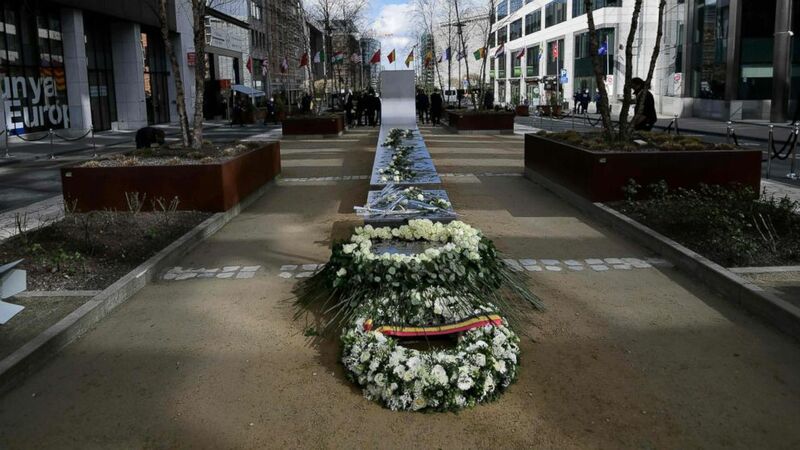 A year after three Islamic State suicide bombers attacked the Brussels Airport and a metro station, the city today observed a moment of silence to remember the victims, in addition to unveiling powerful tributes. One such tribute, a sculpture titled "Wounded but Still Standing in Front of the Inconceivable," consists of two 66-foot-long horizontal platforms that bend into the air. Another statue, “Flight in Mind,” by Olivier Strebelle, was once housed in the departure hall at the Brussels Airport and was damaged during the attacks, according to The Brussels Times. 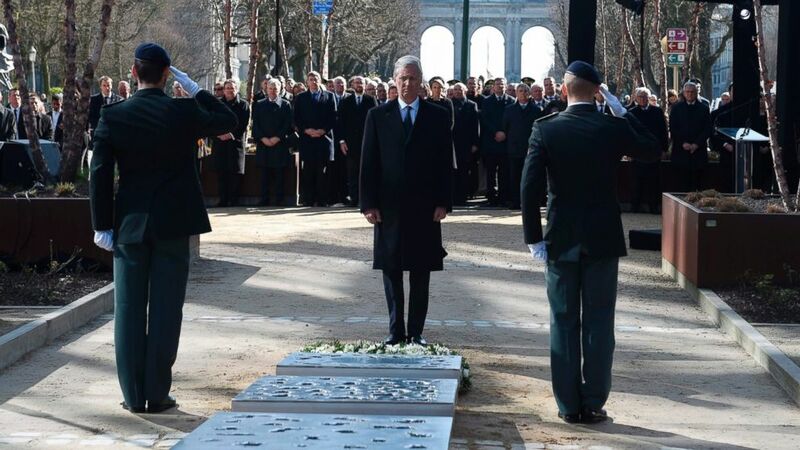 (Didier Lebrun/AFP/Getty Images) King Philippe of Belgium attends the inauguration of a steel memorial by Belgian sculptor Jean-Henri Compere in Brussels as the country marks the first anniversary of the twin Brussels attacks by Islamic extremists, March 22, 2017. That statue was restored and received a grand unveiling today, the first anniversary of the violence. The attacks were the deadliest terrorist attacks in the country's history. Thirty-two people died, and over 300 others were injured in three bombings that took place on that Tuesday morning. (Emmanuel Dunand/AFP/Getty Images) Wreaths are laid during the inauguration of a steel memorial by Belgian sculptor Jean-Henri Compere in Brussels as the country marks the first anniversary of the twin Brussels attacks, March 22, 2017. Belgium's King Philippe today urged citizens to listen to one another and draw lessons from the "deadly madness" that led to the violence, according to The Associated Press. "It's the responsibility of each and every one of us to make our society more humane and more just," he said while commemorating the victims. "Let's learn to listen to one another again, to respect one another's weaknesses."